Following the recent news that Manchester's Metro will extend to Trafford park to better serve the Trafford centre and Old Trafford, TFGM has named the MPT (Thales, VolkerRail and Laing O’Rourke) as their design/build partner. They will work with WSP for the project delivery. This combination has history in the North West having already delivered extensions to MediaCityUK and Manchester Airport. MPT, a Thales, VolkerRail and Laing O’Rourke consortium, has been retained by Transport for Greater Manchester (TfGM) to design and build the city’s Trafford Park line. The consortium will work with the authority’s delivery partner, WSP Parsons Brinckerhoff, to deliver the extension which will serve the intu Trafford Centre shopping mall. 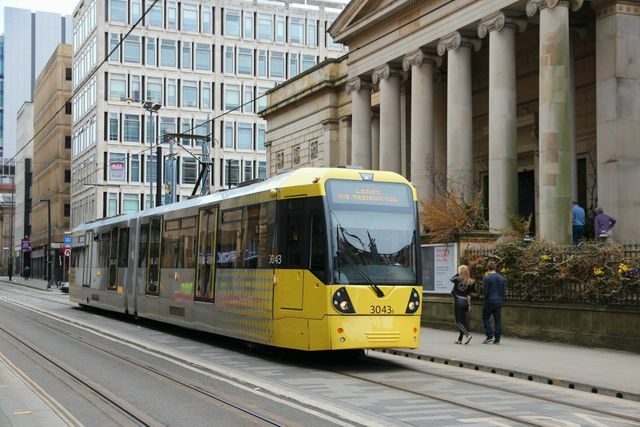 MPT and WSP Parsons Brinckerhoff are currently completing Metrolink’s Second City Crossing and previously delivered extension schemes to MediaCityUK, Manchester Airport, Ashton, East Didsbury, Oldham and Rochdale. The 5.5-kilometre extension will serve Trafford Park, a site which is home to more than 1,300 businesses. The line will branch off from the stop at Pomona and will create six new stops, two of which will serve Manchester United’s Old Trafford stadium and the Imperial War Museum.